Table top comes with an umbrella hole. Fits 1.5" umbrella pole diameter. Separate umbrella base is not required. Whether in the city or in the country, District Picnic Tables will bring people together. 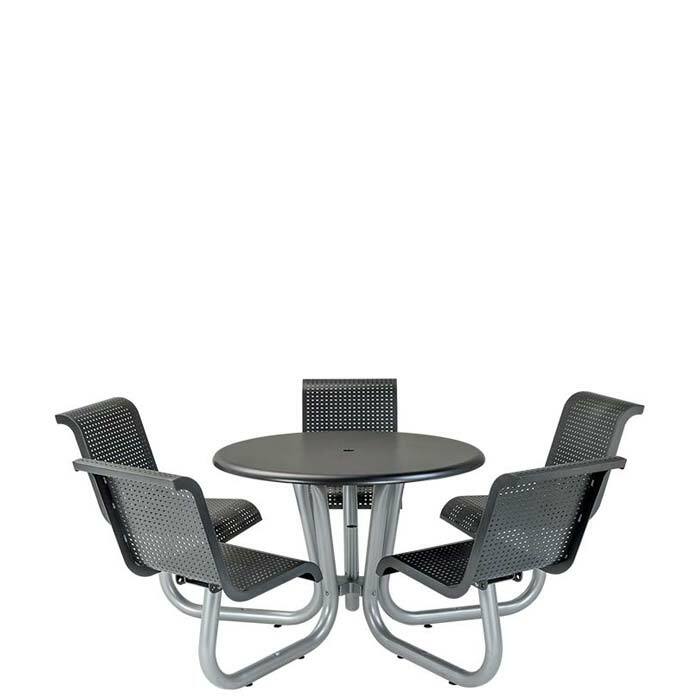 This 42" Round Picnic Table features a square pattern design and five seats. The District 42" Round Round Patterned Picnic Table is made of aluminum for durability and ease-of-maintenance and is available in the Urban Finish palette. Guests will gather at these picnic tables for an enjoyable meal - day or night.